Unknown Czech player Lukas Rosol overpowered 11-time Grand Slam champion Rafael Nadal 6-7, 6-4, 6-4, 2-6, 6-4 in the second round at Wimbledon last night. 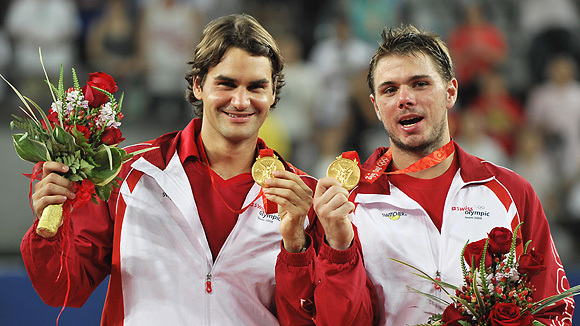 This is the first time since 2005 that Nadal lost in the second round at any major tournament. 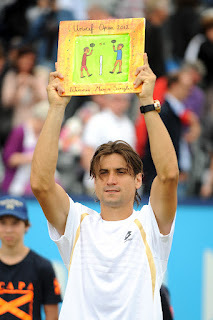 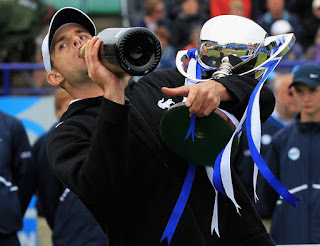 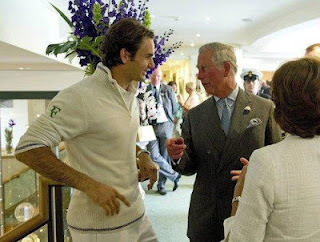 He reached the final at the previous five Grand Slams, and also reached the final the last five times he entered Wimbledon, winning the grass-court tournament in 2008 and 2010. However after a successful, long clay season Nadal deserves to take a break, relax and prepare to defend his gold Olympic medal that will start in less than a month time. After the Spanish football team defeated Portugal in a penalty shootout last night to enter the Euro Cup final, it could be a huge boost for Rafael Nadal to do the same at Wimbledon. 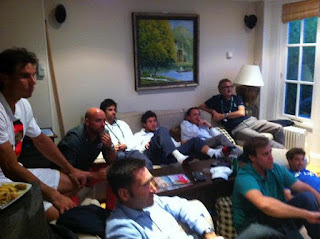 He took some time off to watch the football match where most of his friends like Iker Casillas and Fernando Llorente were playing. 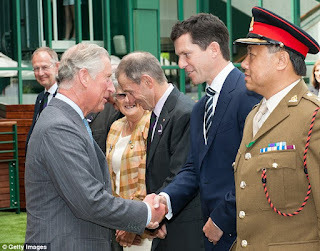 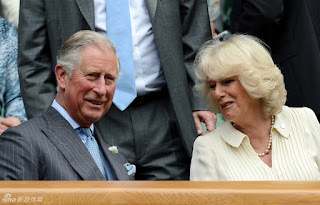 Last night, I posted about Prince Charles, Prince of Wales and Camilla, Duchess of Cornwall attending the Wimbledon Centre Court match between Roger Federer and Fabio Fognini. 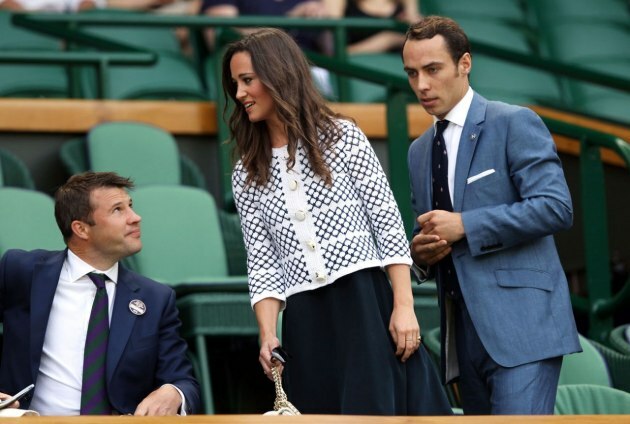 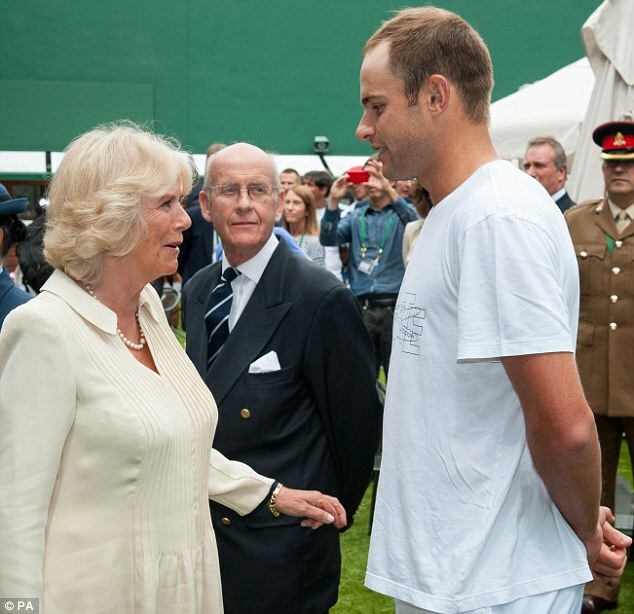 Earlier the royal couple met up with former British no.1 Tim Henman and American Andy Roddick. 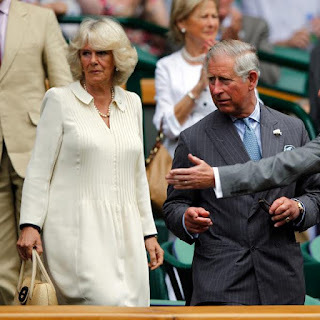 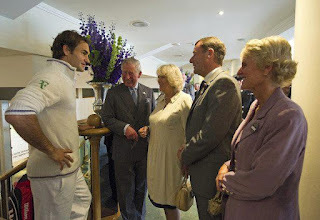 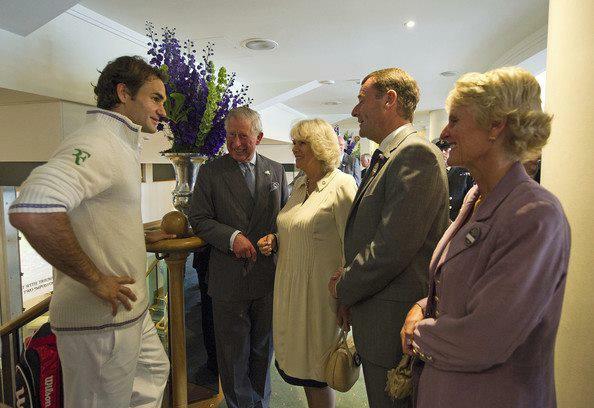 Prince Charles and Camilla also met up with Roger Federer right after his match. It was Prince Charles' first visit to Wimbledon since 1970. Prince Charles, Prince of Wales and Camilla, Duchess of Cornwall show up at Roger Federer's second round match against Fabio Fognini at the Wimbledon tennis tournament today. 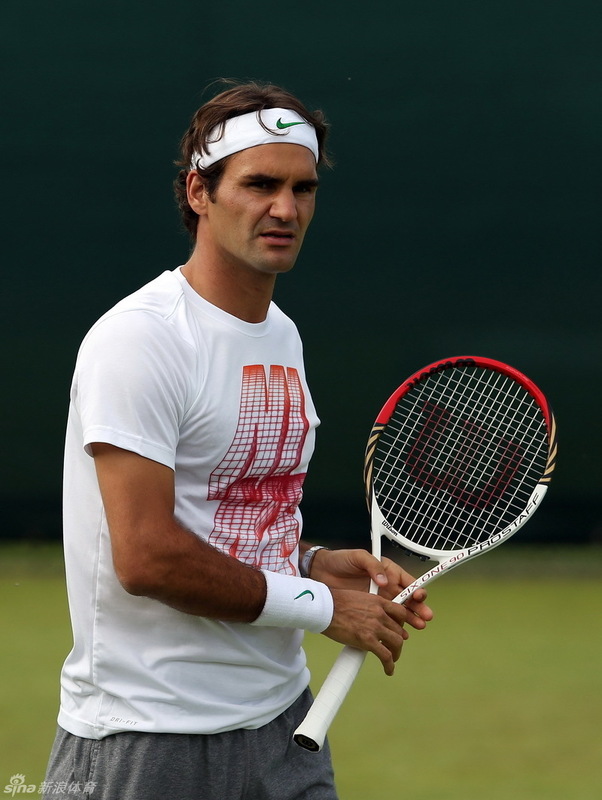 Update: Federer just wrapped up the match in straight sets with the score 61 63 62. It's Svetlana Kuznetsova's 27th birthday today. Coincidentally her birthday also falls on the 27th. 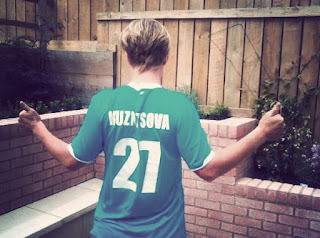 So it makes sense when Russian Zenit FC presented a football jersey with the number '27' as a birthday gift for her. 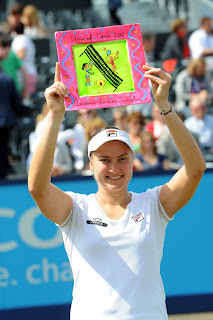 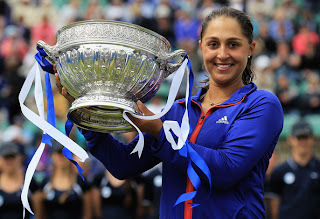 However the bad news is her Wimbledon campaign has ended after losing the first round to Yanina Wickmayer. 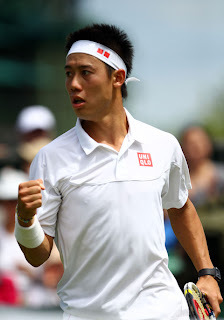 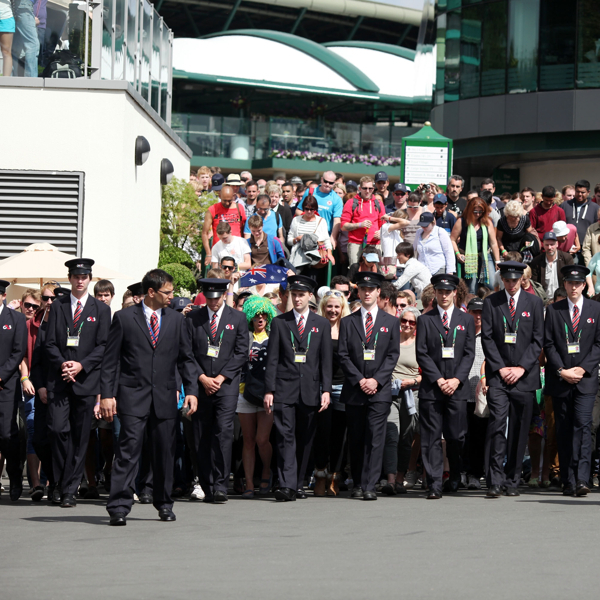 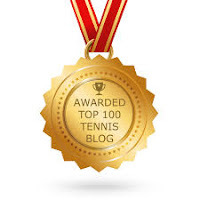 The International Tennis Federation (ITF) announced the full list of entries for the London 2012 Olympic Tennis Event at The All England Club, Wimbledon from 28 July until 5 August yesterday. 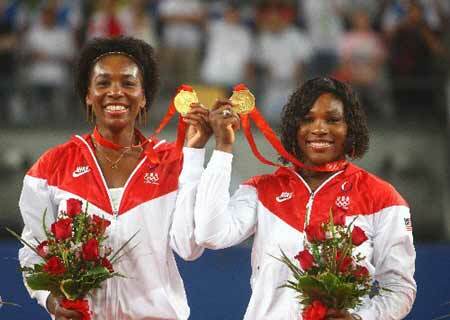 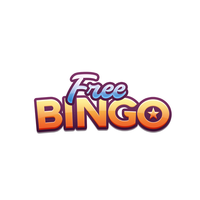 A total of forty-five (45) countries will compete in this year’s event. 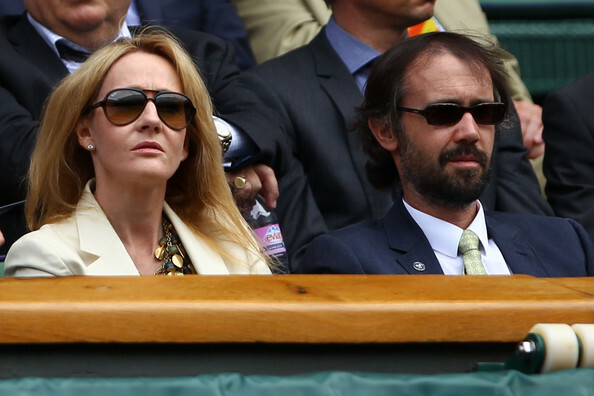 Author J. K. Rowling (L) made a rare public appearance sitting in the Royal Box on Day 2 at Wimbledon yesterday. 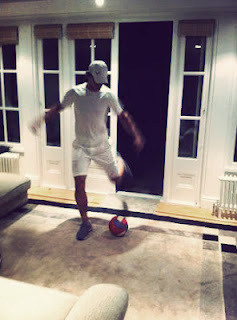 Meanwhile Rafael Nadal worked his magic last night after a slow start with 4 games down against Brazilian Thomaz Bellucci. 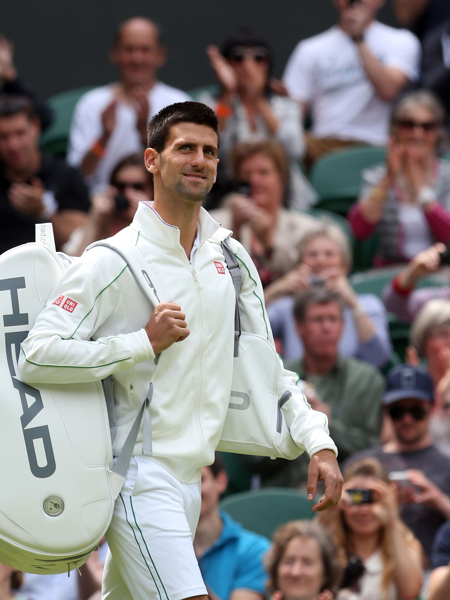 Nadal survived an early scare to kick off his bid for a third Wimbledon title with a 7-6 (7-0), 6-2, 6-3 victory. Others who also made it to the second round were Grigor Dimitrov, David Goffin, Serena Williams, Andy Murray, Kei Nishikori and Jo-Wilfriend Tsonga. It has been rumoured that the Duchess of Cambridge Kate Middleton will attend the championships later this week with her mother Carole Middleton, and possibly her sister Pippa. 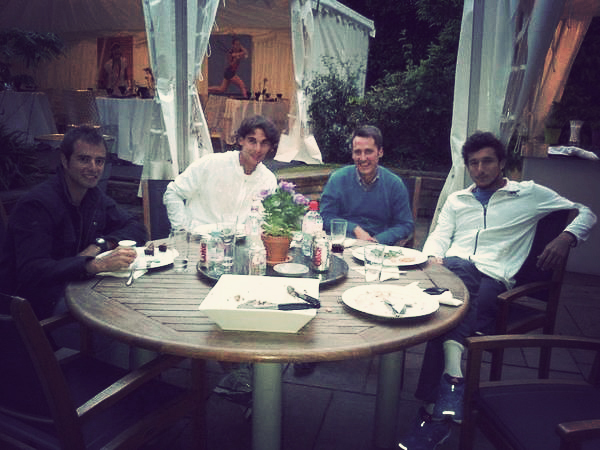 Argentinian Juan Monaco secured a spot in the second round at SW19 after a 64 76 76 victory over fellow countryman Leonardo Mayer. 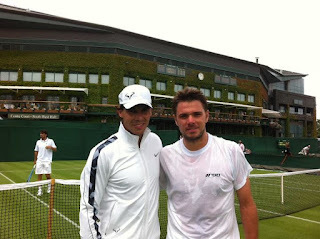 He celebrated the win with good friend Rafael Nadal, as posted on his Facebook page. 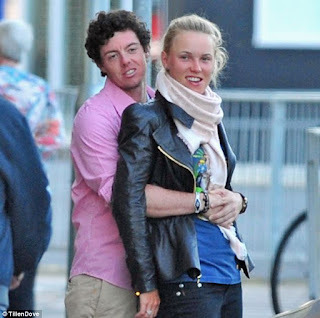 Caroline Wozinacki and her Irish golfer boyfriend Rory McIlroy were spotted strolling out of a pizza restaurant in Eastbourne yesterday. McIlroy can't seem to get his hands off the former world no.1. 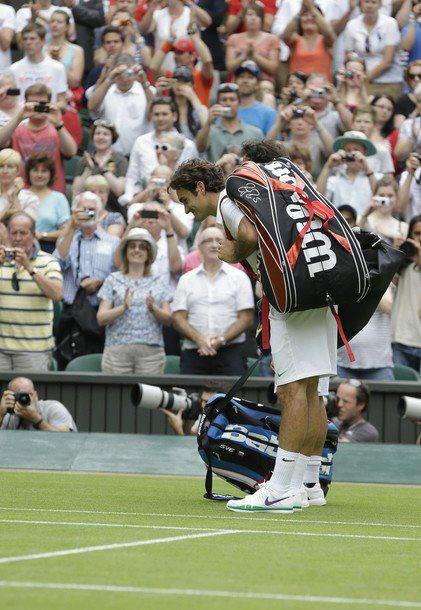 He didn't mind to show PDA in front of the paparazzi either. Meanwhile Rafael Nadal and Xisca were also spotted taking a stroll on the eve of Wimbledon but in a more casual and relaxing way. 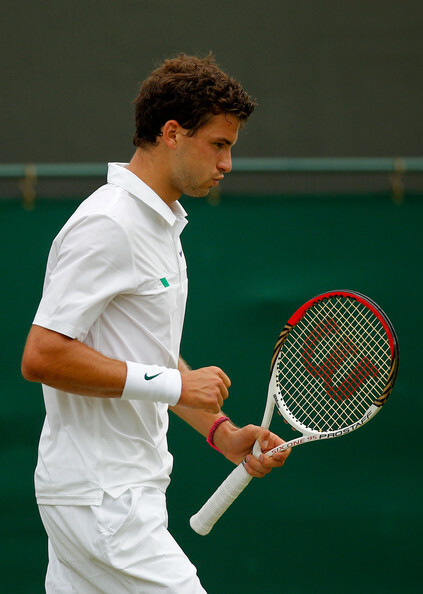 Grigor Dimitrov just completed a photo shoot for Nike at Wimbledon. 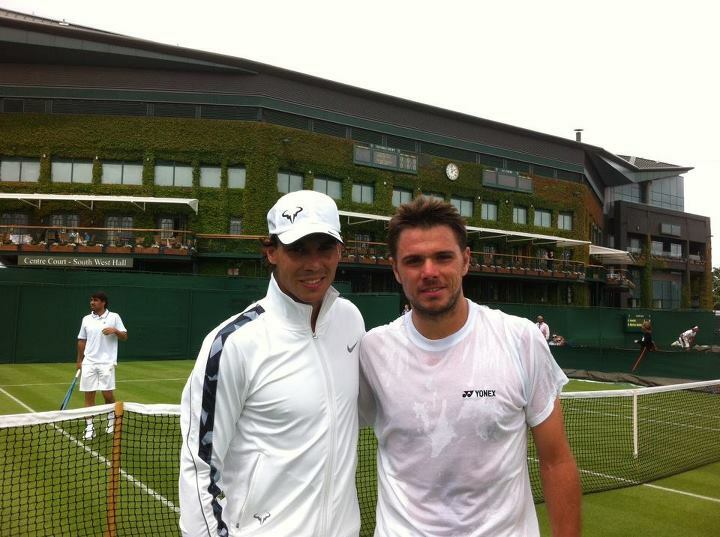 He shared a photo taken together with his coach Patrick Mouratoglou on the set with the fans on this Facebook page. The Bulgarian will play Kevin Anderson in the first round at at SW19. 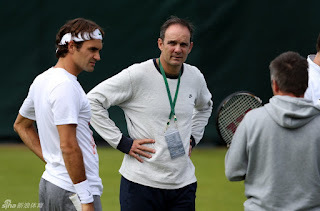 Just when I mentioned about the lack of Roger Federer practice photos, I saw some on Sina Sports and Yahoo! 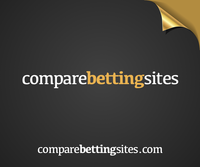 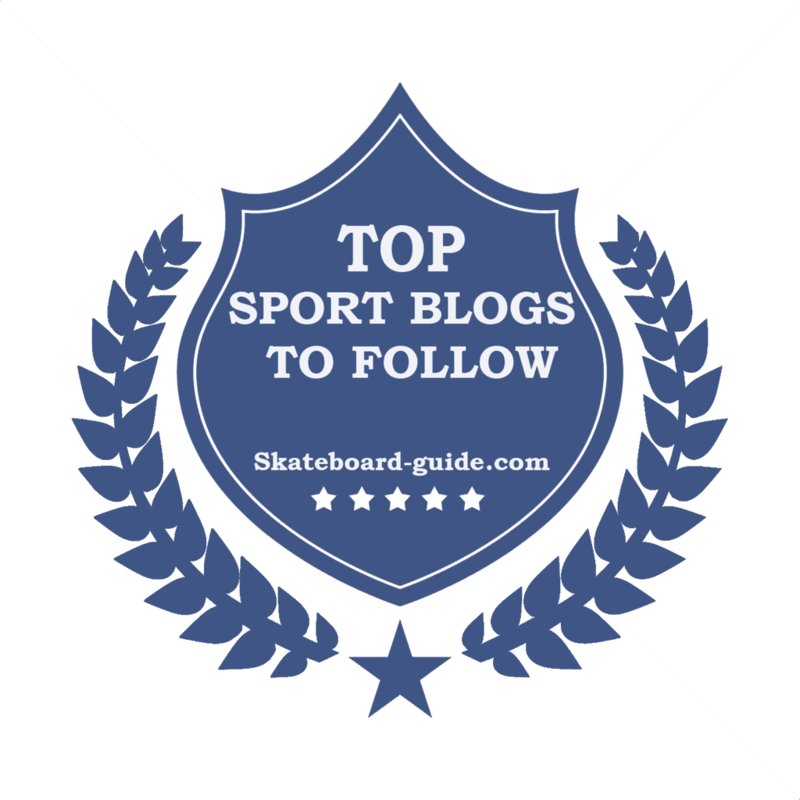 Sports websites. 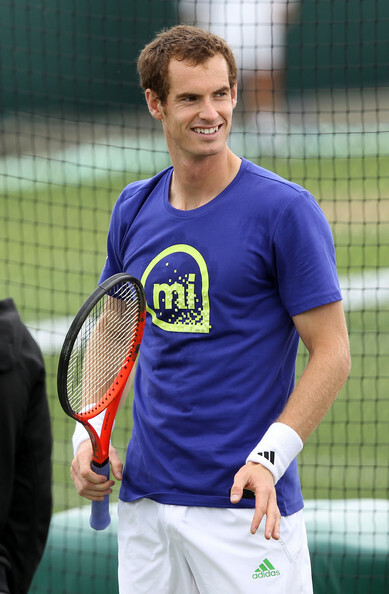 The maestro of tennis is chasing for his 17th Grand Slam and 7th Wimbledon titles.